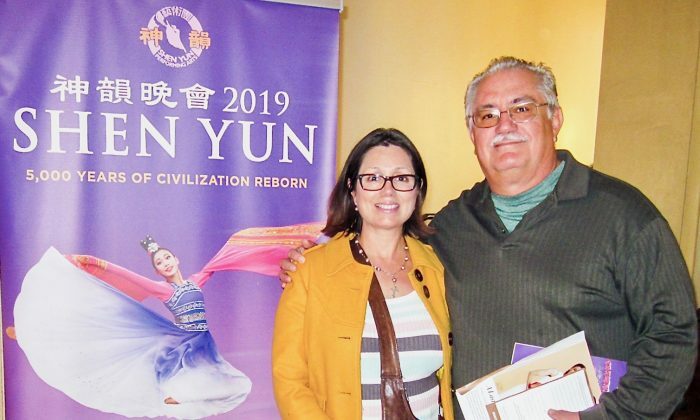 ESCONDIDO, Calif.—To first-time audience members, everything about Shen Yun Performing Arts can seem larger than life. For example, Shen Yun’s highly-trained dancers often seem like they can float across the stage, leap effortlessly high into the air, or even fly off into the horizon. 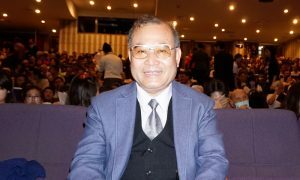 For Margarita Morales, the assistant principal at Empower Carter School in San Diego, and her husband Manuel Bravo, a physician, who attended the performance at California Center for the Arts on Saturday, Feb. 9, Shen Yun’s dancers seemed to defy gravity itself. 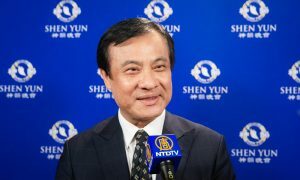 Based in New York, this is Shen Yun’s 13th year touring the globe, with a total of six companies visiting more than 130 cities, according to the company website. 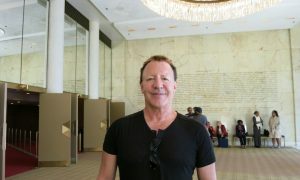 A Shen Yun performance focuses heavily on classical Chinese dance, but it’s not complete without the live orchestra with both Chinese and Western instruments, stunning costumes, an interactive backdrop, musical soloists, and the bilingual emcees who introduce the audience to the 5,000 years of traditional, divinely-inspired Chinese culture. 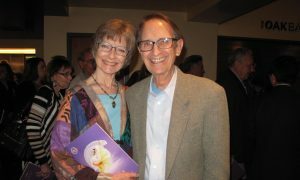 While lovely to watch, Shen Yun is also educational and spiritual as well, said the couple, and good for all ages. “I would actually like to teach the dances to my students,” said Morales, who enjoyed learning about Chinese history and culture during the performance. China was once known as “The Land of the Divine,” and the Chinese people lived in harmony with the natural universe. However, just decades ago, when the Communist Party took over the country, China’s rich history was nearly destroyed. 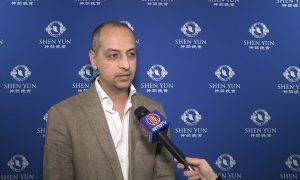 Shen Yun aims to bring back that authentic traditional Chinese culture and share it with the world through the universal language of music and dance. There’s something else unique about Shen Yun’s performers. They share a spiritual journey, meditate together, and find inspiration in the divine to deepen their self-discipline and enhance their creativity, states the website. 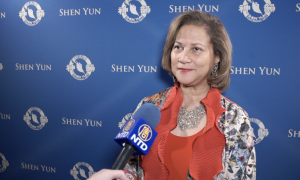 “It’s food for the soul,” said Bravo of Shen Yun. Bravo and Morales said they were very happy they made the drive to Escondido to see the performance. 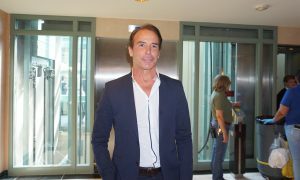 They were glad to hear that the company produces an all-new program every year. “We will be here next year,” agreed Morales. With reporting by Jane Yang and Sarah Le.